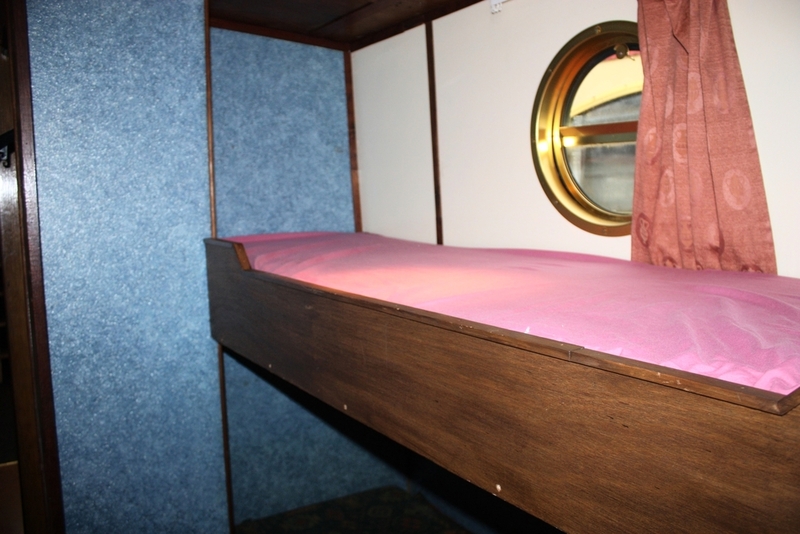 Dutch Courage is one of our 8 berth Dutch barges. She is 14.85m (49') long by 3.2m (10'6") wide. The ceiling height in the saloon is 1.97m (6'6"). She comprises of 2 double bedrooms at each end, with 2 bunks in the middle of the vessel and a pull down double bed in the saloon area. She has a wood burning stove for the cooler nights to keep you warm & snug!